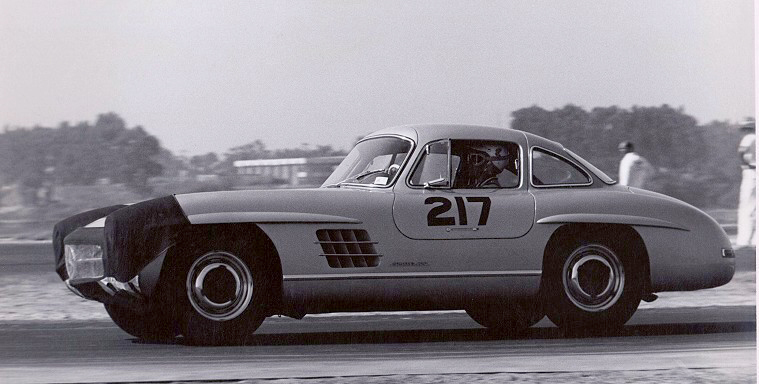 Culkin raced his beautifully prepared and well-sorted 300SL "Gullwing" coupe from the mid-1950s through 1961. The Culkin family recently sent me these treasured photos of their father and grandfather. 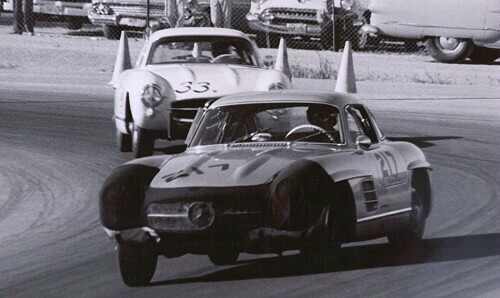 This photo shows Culkin leading Dave MacDonald in his first "00" Corvette. This photo was also taken at Santa Barbara, Note building in background. Also, who are the other two drivers? 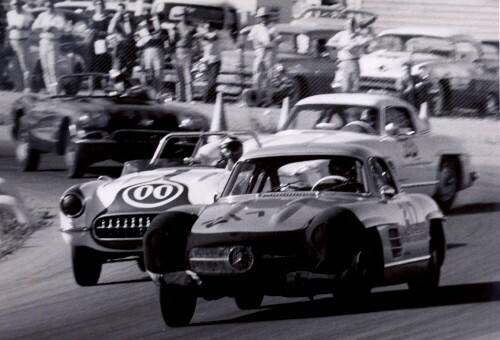 Bob Norton's photo of Culkin at Santa Barbara 1960.